If you ever browsed Facebook using its Android or iOS Apps, you would have noticed few articles load incredibly fast (in milliseconds). These are Facebook Instant Articles. It is an innovative way to create incredibly fast and immersive reading experience of your Shpopify blog for Facebook users. In this article, I shall explain how to automatically publish your Shopify blog articles as Facebook Instant Articles. The App generates a dedicated RSS Feed of your Store blog for Facebook Instant Articles. The RSS Feed is used by Facebook to import the blog articles and publish it as Instant Articles. 3. At least 10 articles in your Shopify blog. 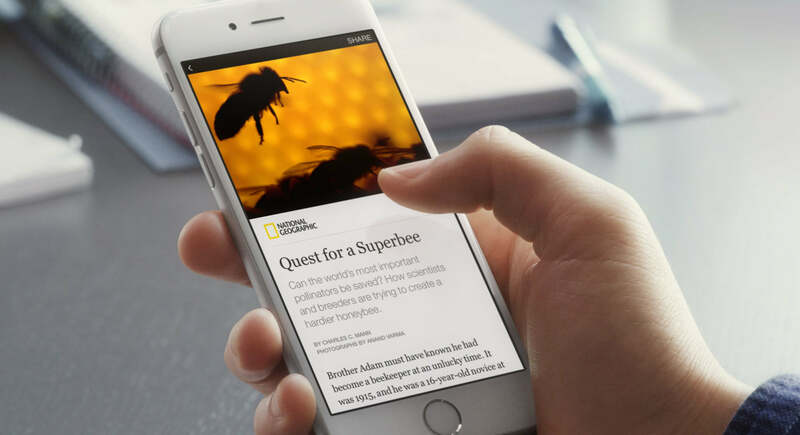 Signup for Facebook Instant Articles, if you haven’t already. Select your Facebook page and click the button Access Instant Articles Tools. You will see a confirmation message. 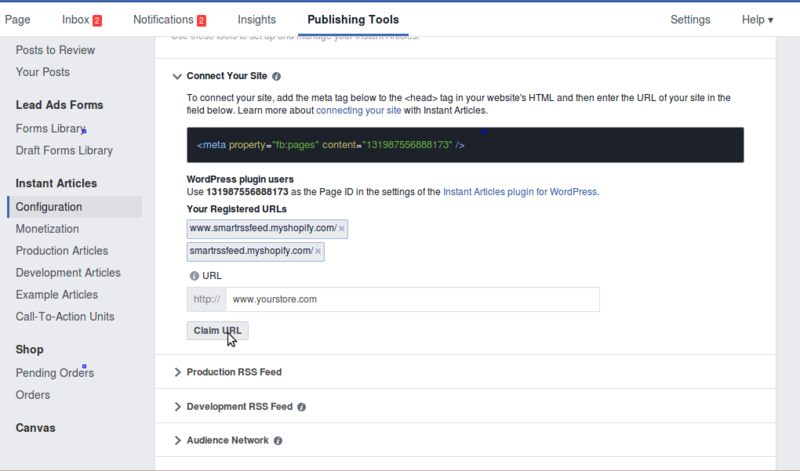 Upon Signup, you’ll find all the tools you need for your initial setup by going to Publishing Tools on the top of your Facebook Page and selecting Configuration under Instant Articles in the left-hand navigation bar. Under Tools, click on the option Connect Your Site, you shall see a meta tag. Copy and paste it anywhere before closing </head> in layout/theme.liquid of your currently active theme. Under Connect your Site, there is a URL option. Enter your store’s domain or myshopify domain as the case may be. This can have multiple values. Whenever you change the store domain, make sure that you update it here. 4. Enter RSS Feed URL. 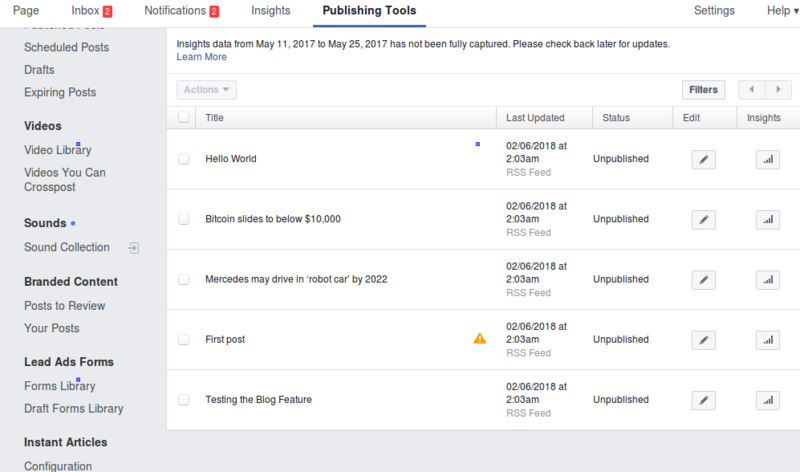 Under Tools, jump to Production RSS Feed and enter the Facebook Instant Articles RSS Feed URL of any of your blogs in it and click Save. You will get the message, “Your feed was updated successfully. Feeds are refreshed multiple times every hour”. Now jump to Production Articles, you shall find list of articles recently imported into it, if your Blog RSS Feed was not empty. How to find the Facebook Instant Articles RSS Feed URL? It can be easily deduced by appending &target=fbia to any Blog RSS Feed URL. Suppose you have a blog titled News, the Instant Articles RSS Feed URL would be the following, by default. The above URL can also be found inside App’s Settings in the Shopify Admin. Note: It is important that &target=fbia is present at the end of RSS Feed URL. Otherwise, Facebook won’t import the articles from your blog. 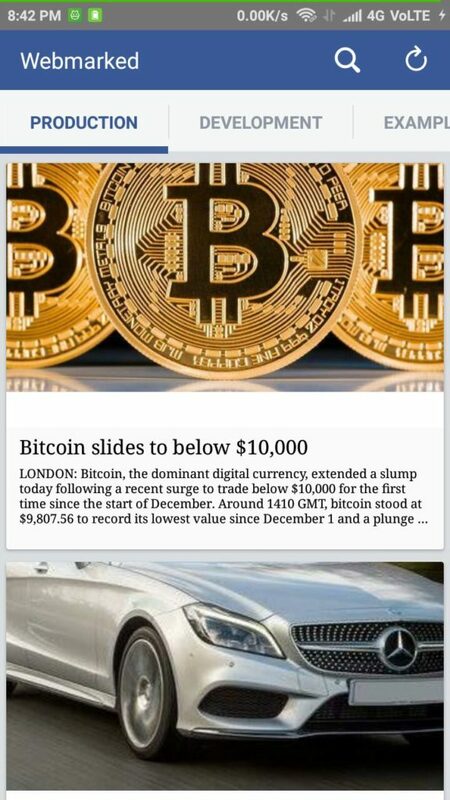 Facebook mayn’t display any error, but it won’t import the articles either. To preview the Instant Articles on a mobile device, download and open Facebook Page Manager App and select the page in which the articles were imported. Open Settings by clicking three dots (…) on the bottom right of the App. Under Sections, click Instant Articles. All the imported Articles should be visible here under Production. A one time review is mandatory for all pages which signup for Instant Articles. Unless the Review is done, the Instant Articles can only be previewed by Admins. The Article Review has following requirements. i) 10 Articles: You have to ensure that there are at least 10 articles published on your Shopify Blog. More about the Article review can be found here. Once the Review process is successful, all future blog articles shall be automatically imported to Facebook. There is no further action required.